Where genres mix and mingle. May is a good month for genre blends. I can personally recommend The Book of Phoenix, Okorafor’s marvelous follow-up to Who Fears Death. I’ll also draw your attention to Paolo Bacigalupi’s The Water Knife at the end of the month, an absolutely terrific blend of action-oacked thriller and plausible near-future SF. 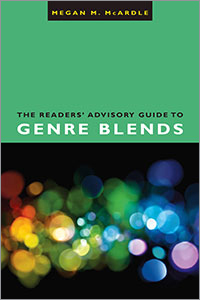 As usual, I have listed the genres in the order that they seem to be most prominent in the blend. What are you looking forward to?